Deceased Westport resident Hy Zaret in a photo from the 1940s and 1950s. WESTPORT — A piece of Westport music history has been resurrected thanks to a dedicated son and the work of a Grammy-award winning music duo. 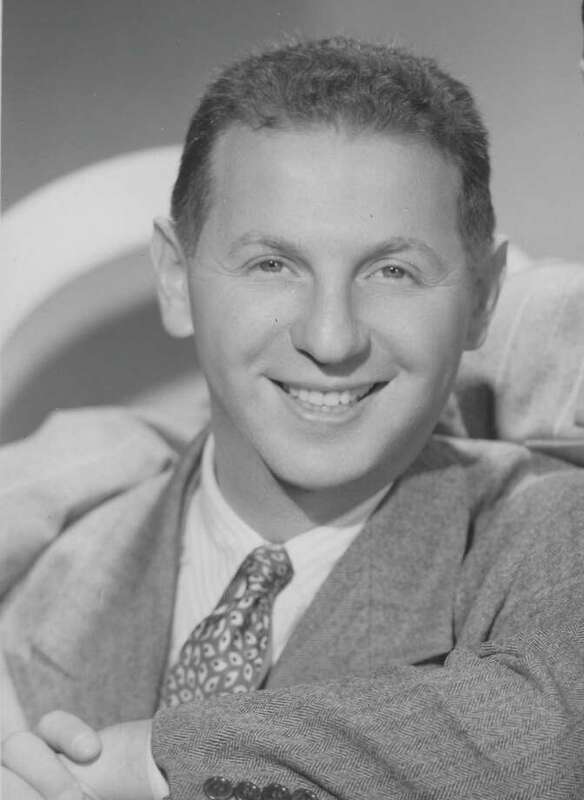 Hy Zaret, best known as the co-author of the 1955 hit “Unchained Melody” — one of the most recorded songs of the 20th century — moved to Westport’s Harbor Road from Mamaroneck, New York in 1969 with his wife and lived in town until his death, at 99, in 2007. By the time Zaret moved to Westport, he had already established himself as a lyricist for Hollywood films off the massive success of “Unchained Melody” and soon turned his attention to educational children's music. Zaret took particular pride in the science education songs on the album “Ballads for the Age of Science” he wrote with Lou Singer in 1961, Zaret’s son and Bostonian, Robert Zaret, said. Hoping to revive the science songs for a modern audience, Robert commissioned the two-time Grammy award-winning folk and children’s music duo of Cathy Fink and Marcy Marxer whose 35th album collaboration, “Zoom a Little Zoom! A Ride Through Science” includes 10 new interpretations of songs from Zaret’s 1961 album and is available online now. “”Ballads for the Age of Science” was a big hit and got a lot of press because having musical jingles about science was new and it was shortly after Sputnik so science was in the news,” Robert said. His father had begun to do education and public service themed songs in the late 1940s for a New York City-based radio station that commissioned him and Singer to write one-minute radio jingles on civil rights. The science songs came about because the American Cancer Society heard Zaret’s educational jingles and commissioned him to write songs about science as well. While his dad later neglected the science songs, Zaret says they have endured and are more important now than ever given the climate in which some of our leaders express doubts about the value of science. Fink and Marxer, the duo reviving Zaret’s science songs, said they’ve brought a new approach to the material but that the science in the originals remains sound 57 years after the original release. “We’ve brought some exciting genre treatments to a number of the songs, including western swing, Klezmer and boogie-woogie, and I believe that while the kids are moving and grooving to the songs, a little science may just seep in,” Marxer said.